When I was growing up we always left cookies and milk for Santa. We also left carrots for the reindeer; I mean, they have to do a lot of work, too, flying all night. I was always worried they’d get really hungry! My parents assured me that they loved carrots and that they were good for their eyesight. 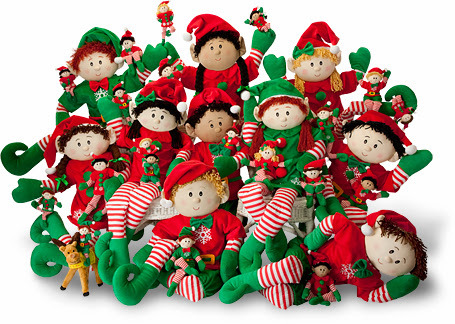 One group that I didn’t really think of as a child were the elves. I’m not sure how they didn’t cross my mind, but they didn’t. But they really shouldn’t go hungry, either. 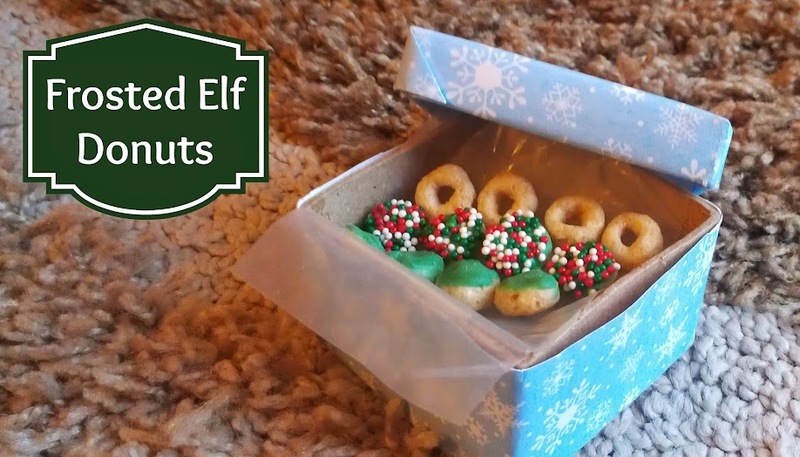 So with Bubbles I’ll be starting the tradition of leaving out tiny little snacks for them, something like these cute elf donuts. I also made a special little box to serve them in, that’s shaped like a gift. Both are easy to make.